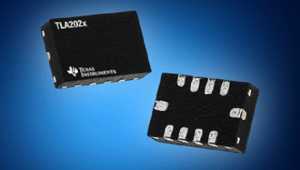 Mouser Electronics is now stocking the 12-bit TLA202x delta-sigma analog-to-digital converters (ADCs) from Texas Instruments (TI). Drawing currents as low as 150 µA, the highly integrated TLA202x ADCs are designed for system-monitoring applications such as supply or battery voltage supervision, current sensing, and temperature measurements. 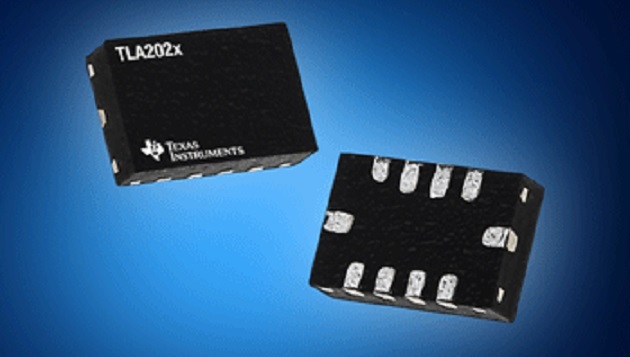 The TI TLA202x ADCs consist of the TLA2021, TLA2022, and TLA2024 devices. 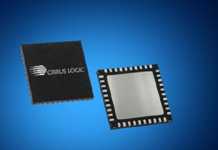 The TLA2021 and TLA2022 devices are single-channel ADCs, while the TLA2024 features two differential or four single-ended inputs through a flexible input multiplexer (MUX), which provides an industry-high channel density of 0.75 mm2 per channel. All TLA202x ADCs integrate a voltage reference and oscillator; additionally, the TLA2022 and TLA2024 include a programmable gain amplifier (PGA) with selectable input ranges from ±256 mV to ±6.144 V, enabling both large- and small-signal measurements. The TLA202x ADCs feature programmable data rates from 128 samples-per-second (SPS) to 3.3 KSPS and offers two conversion modes: single-shot or continuous. 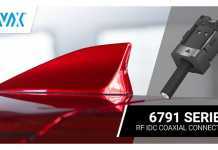 The ADCs’ I2C-compatible interface supports I2C bus speeds up to 400 kbits per second (kbps) and a single address pin. 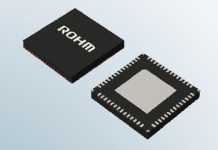 The 1.5 mm × 2.0 mm X2QFN devices operate from a wide supply range of 2.0 V to 5.5 V over a temperature range of minus 40 to 85 degrees Celsius.